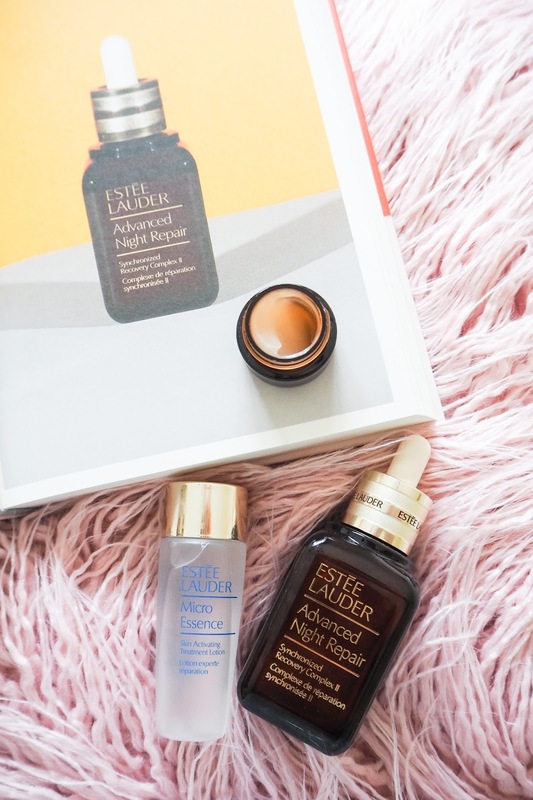 The first ever Estee Lauder skincare product I bought was their Advanced Night Repair Serum, after The Anna Edit’s rave reviews. It’s been a staple in my skincare collection since and I’ve recently added some more products into my routine from the brand. This is a sample size of the ANR Eye, Estee Lauder products aren’t cheap so this was a great way to try the product. It’s a smooth gel consistency which is very light on the skin. This is perfect for the eye area as it doesn’t feel heavy. The product kept my skin feeling hydrated and plumped, it made the perfect base for under eye concealer. The Estee Lauder Advanced Night Repair Eye is £42 for 15ml, you do only need a small amount but the price tag isn’t for everyone. I do enjoy using the eye product but I want to try out different brands and formulas before committing to this one. I noticed Western brands adding essences to their skincare repertoire as K Beauty became more popular. An essence is to be used after cleansing, it’s a light weight water which holds skincare ingredients. I dispense a few drops into my hands and then pat gently over the surface of the skin. It’s an instant hit of lightweight moisture and leaves the skin ready for serums, oils and moisturisers. This is £48 for 75ml or £68 for 150ml, the product is watery in nature, so you might want to skip on buying this and invest in a serum instead. However, I will be investing as my skin felt instantly comforted after cleansing when using this. This skincare product is in Sali Hughes hall of fame for beauty products in her latest book, ‘Pretty Iconic’. It’s definitely an iconic product for me, and I will always repurchase. This serum is so well balanced, it doesn’t leave my skin feeling over saturated or sensitive like some heavy-duty serums do. It’s a ‘suits all’ serum which will benefit any skin type. I use it to help repair the scarring I have from acne, but this product also helps to soak up any other product you apply after. So, if you have dehydrated skin, ANR will help the moisturiser you apply to be more effective. After I have tried a few of Estee Lauder’s skincare products, I can tell they are built to suit most skin types. They don’t leave your skin stripped or ladened with product, they are well balanced and effective. I have a lot of skincare in my beauty drawers, but if I was to lose it all and have to replace my favourites, these products would be included even though they are pricey. Love the Advanced Night Repair - a classic! I know! I'll always repurchase!